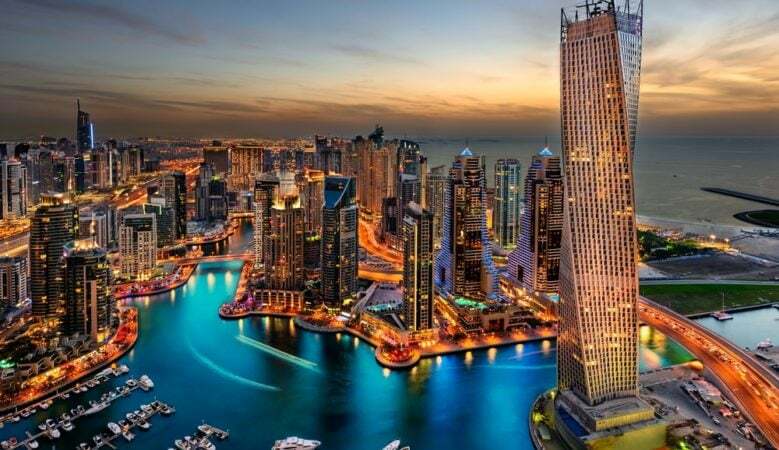 Lower oil prices and currency changes affecting expats have affected Dubai’s residential real estate market with prices and rents still down in the fourth quarter of 2016 but now close to bottom. But the decline in the market is slowing and property experts believe that rents and prices will be more stable in the first few months of 2017 with strongest demand for smaller and affordable homes. The latest analysis from real estate firm Cavendish Maxwell shows that rents fell by 1.1% in the final quarter of 2016 and average sales prices also fell, but by less than 1%. A breakdown of the figures show that apartment rents fell by between 0.4% and 2.2% depending on location and villa rents were down by 1.1%. Apartment prices fell by up to 0.3% quarter on quarter and are now down 3% year on year and have fallen by almost 15% since the second quarter of 2014. ‘The stronger US dollar, relatively lower oil prices and resultant liquidity conditions have impacted the purchasing power of foreign investors traditionally active in the Dubai real estate market such as buyers from India, UK and Russia,’ said Sofia Underabi, head of residential valuation at Cavendish Maxwell. The firm’s residential survey of brokers in Dubai found that 63% expect new buyer enquiries to increase in the first quarter of 2017, although prices are likely to remain unchanged. Some 59% expect a rise in the number of agreed sales, while 55% said that new seller instructions would also increase. According to the latest report from JLL the residential market is now close to bottom and supply will have an influence over what happens in 2017. It forecasts that between 11,000 and 15,000 new units are expected to come onto the market this year. JLL said majority of the units will be delivered in Akoya with 3,300, followed by Dubai Marina with 2,800, Dubai Sports City 2,500, Dubai Silicon Oasis 1,800, Meydan 1,800 and Dubai South 550. Craig Plumb, head of research, JLL MENA, pointed out that while the economy may be close to turning the corner, real estate markets tend to lag behind economic cycles and the prospects for 2017 are therefore subdued. Overall he said that the market has seen a ‘modest’ decline of around 15% since its last peak in the middle of 2014 and is now poised close to the bottom of its current market cycle with virtually no change in average prices over recent months. However, he pointed out that sales activity in the market has declined by more than prices, down around 30% year on year although it is now seeing growth again and sales activity or volumes are usually a good leading indicator of future price trends. ‘Part of the reason for the increase in sales has undoubtedly been price driven, with developers reducing prices and offering more attractive payment terms as they adjust to the more subdued market conditions,’ Plumb explained. ‘While overall demand is at lower levels than between 2012 and 2104, there are signs that some sectors of the market are seeing stronger sales than over the past two years. 2017 is poised to be a marginally stronger year than 2016, but we do not expect to see strong levels of price or rental growth,’ he added. ‘We expect to see strongest demand for smaller and more affordable units, with the emergence of new locations such as Dubai South. Even in more established locations, the current trend towards smaller units is also likely to continue, as developers seek to perform in what will remain a highly competitive market,’ he concluded.